How can we leverage social network data and observed ratings to correctly recommend proper items and provide a persuasive explanation for the recommendations? Many online services provide social networks among users, and it is crucial to utilize social information since recommendation by a friend is more likely to grab attention than the one from a random user. Also, explaining why items are recommended is very important in encouraging the users’ actions such as actual purchases. Exploiting both ratings and social graph for recommendation, however, is not trivial because of the heterogeneity of the data. In this paper, we propose UniWalk, an explainable and accurate recommender system that exploits both social network and rating data. 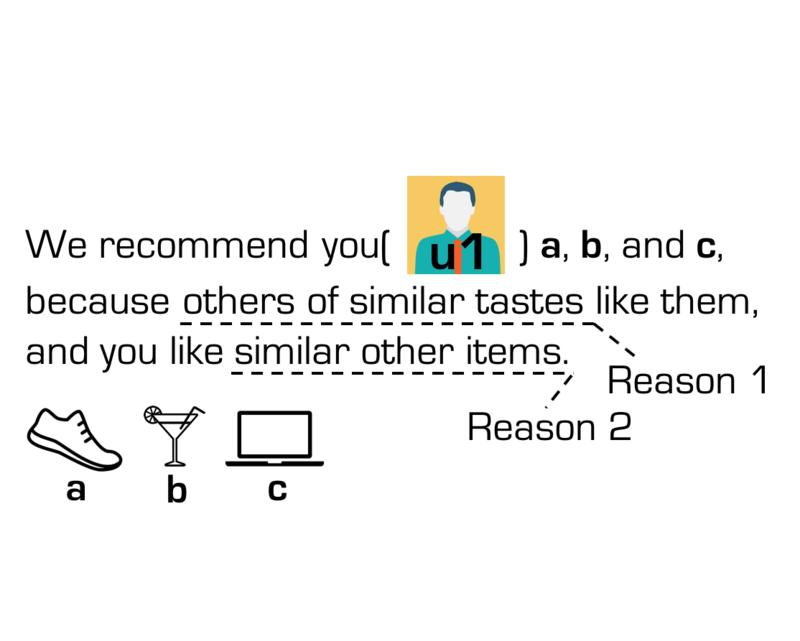 UniWalk combines both data into a unified graph, learns latent features of users and items, and recommends items to each user through the features. Importantly, it explains why items are recommended together with the recommendation results. Extensive experiments show that UniWalk provides the best explainability and achieves the state-of-the-art accuracy. We recommend items (a, b, and c) to a target user (u1). 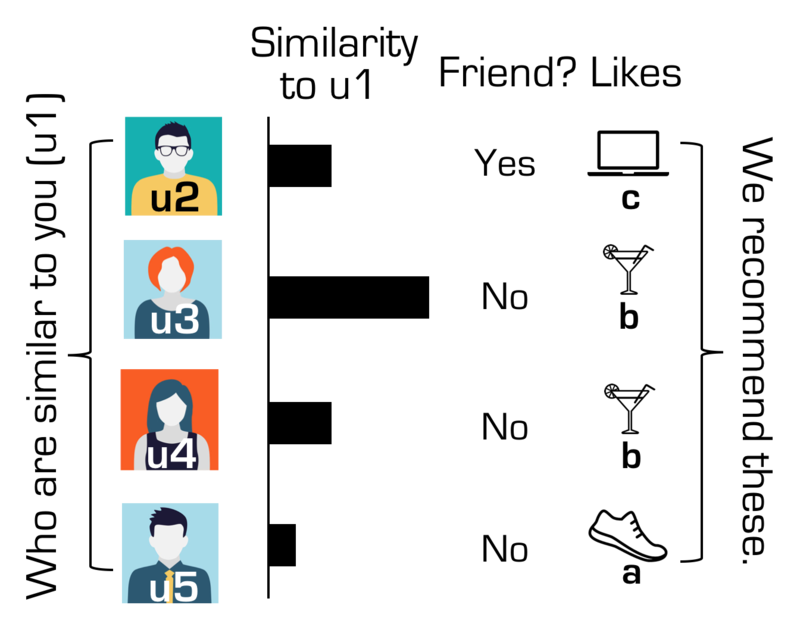 We recommend the items because the items are preferred by other users (u2, u3, u4, and u5) who are similar to the target user. We recommend the items because the target user likes other similar items (d, e, and i). Haekyu Park, Hyunsik Jeon, Junghwan Kim, Beunguk Ahn, and U Kang. The following zip file includes codes of UniWalk. Please mail to Haekyu Park (hkpark627@snu.ac.kr).